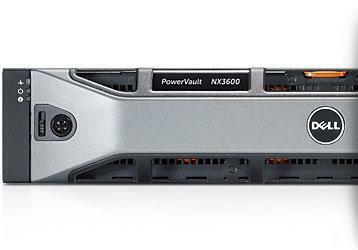 Get an integrated block and file storage solution that allows modular scale-out capabilities with a PowerVault NX-series storage appliance for GbE or 10GbE networks. Easily scale to meet dynamic block and file storage requirements and gain quick access to your stored data with an affordable network attached storage (NAS) appliance. Unify your NAS and storage area network (SAN). Bring flexibility to your data storage environment and control the escalating costs of managing file data. Manage file data growth efficiently with Dell Fluid File System. Expand block and file storage efficiently as your business grows with Dell™ Fluid File System (FluidFS) v2, an enterprise-class distributed file system. Several data protection features, including user-restorable snapshots, asynchronous replication, support for 3rd party anti-virus scanning of CIFS shares and NDMP backup capabilities are included at no additional cost. Get big performance at a low cost.